Need a reliable window cleaner? 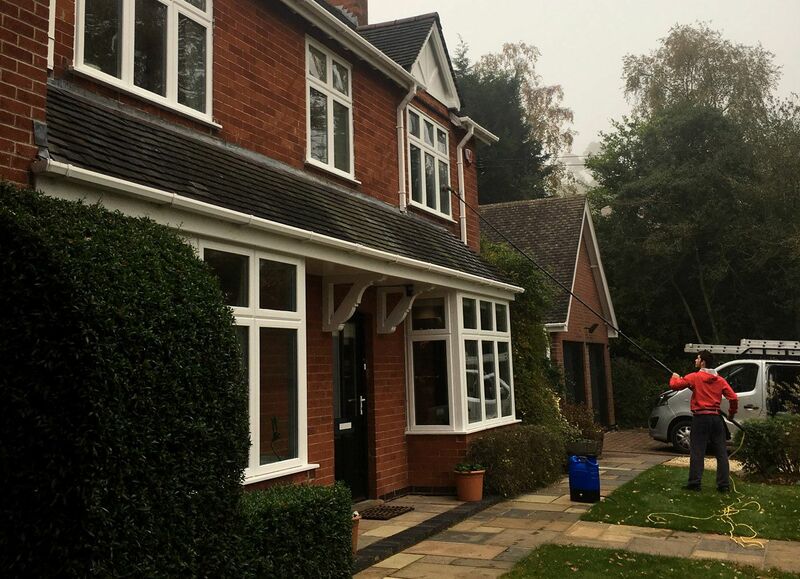 M & S Window Cleaning are based in Rugeley and cover the whole of Staffordshire. We have been cleaning windows since 1989 and we provide a perfect finish every time. We also use the most recent developments in equipment to ensure the best clean possible using traditional methods and our professional high reach water fed pole Reach & Wash System. We clean all types of residential and commercial properties including apartment blocks, retail outlets, showrooms, office buildings, hotels, restaurants, leisure centres, care homes and more. With our water fed pole system we can clean windows on properties up to 4 storeys high. Areas we cover include Lichfield - Rugeley - Stafford - Stone - Uttoxeter - Shenstone - Abbots bromley - Kings bromley - Weston - Fradley - Hixon - Yoxall - Colwich Great Haywood - Colton - Hill Ridware - Barton under Needwood - Alrewas - Sutton Coldfield - Armitage with Handsacre plus all surrounding areas. We also provide exterior cleaning services for gutter and fascia cleaning, conservatory roof cleaning and driveway cleaning. Over 1,300 customers have liked our Facebook page. Our customers have rated our service 5 stars with over 100 recommendations and reviews.